Whenever a technology company gears up to go public, I feel a wave of empathy tinged with nostalgia and a little PTSD. 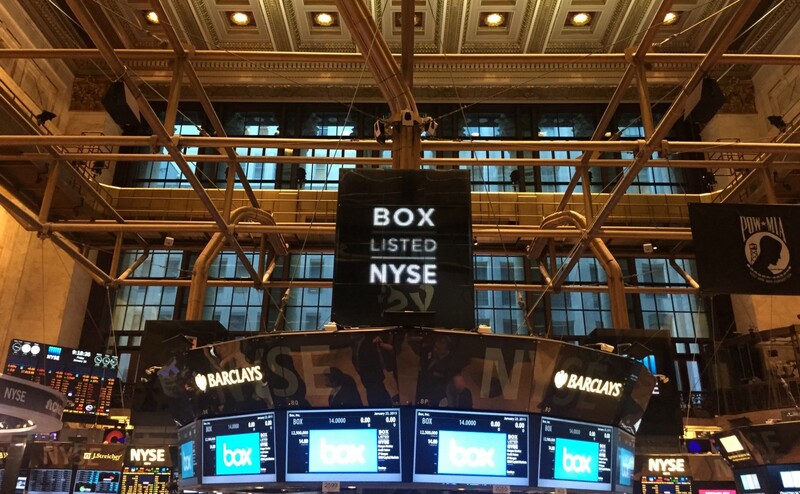 Nearly three years ago, Box, my then-employer, filed to go public. Ten grueling months later, we finally pulled it off. We dropped our S-1 at the start of a pretty brutal market correction and morphed overnight from a darling of enterprise software to a cautionary tale. The subsequent months were spent clawing our way back to a more nuanced place somewhere in between. It was the hardest and best thing I’ve ever been through professionally. Of course, Snap is a very different beast, and its IPO is a very different (and much larger) IPO. To state the obvious: Box is an enterprise software company; Snap aspires to be the modern “camera company.” Box is an open and vocal product of the Valley; Snap prefers a more secretive existence in Venice. Perhaps most importantly, Box’s CEO has never been photographed by Vogue. Despite these differences, I believe the survival of any high profile IPO ultimately comes down to your story: how well you tell the parts of it you can control, and perhaps more importantly, how well you anticipate and prepare for the parts you can’t. Some of the communications lessons we learned the hard way at Box seem to apply to Snap, and I’m not the only one who thinks so (hi, danprimack!). But first, some disclosures. I am a happy Box shareholder and cheerleader, but no longer an employee (I used to lead communications). And although my whopping Snapchat score of 202 might lead you to assume otherwise, I am not an expert on Snap, nor anything else #teens find exciting. Lesson #1: Understand what story your numbers tell in a vacuum. The S-1 is a major production. It’s a chance to perfectly articulate your strategy on the brink of your most profound state change as a company. While the communications team obsesses over the Founder’s Letter, your colleagues in finance will drop in the requisite charts. It turns out those charts, if disappointing or surprising in any way, will overshadow everything else in that carefully crafted document. At Box, we of course understood how our financials reflected our long-term strategy. I’ll spare you the SaaS gospel. But to people who were seeing our accounting for the first time, the numbers did not tell an obvious story. There was no easily projectable path to profitability for people who weren’t familiar with our business model, and when the market started to go south for SaaS stocks, we became the poster company for the end of the “growth at all costs” era. Clouded by too much context, I had thought the numbers would be part of our story, not the story. In hindsight, we should have done more education about the mechanics of our business in advance — something that most startups happily ignore in favor of technology and people-driven stories. Now two years post-IPO, Box has worked to prove it has a healthy and sustainable business model, quarter by quarter, earnings by earnings. The Snap S-1 is a fascinating read. You can see Evan Spiegel’s fingerprints all over it. It’s a rare glimpse into a truly remarkable company, and one that prides itself on being mysterious. But Snap’s metrics dominate the story, including its costs and slowing user growth. Snap surely has a plan, but to the numerically-inclined outsider who has never enhanced a selfie with dog ears or rainbow vomit, the path forward might not be obvious. These numbers, and especially where they sit on a spectrum that includes the likes of Twitter and Facebook, will be the prevailing narrative until they change (or Snap does the hard work of helping us understand why that’s the wrong spectrum). Lesson #2: Be ready for your momentum to turn against you. Understanding where you are in your narrative arc is one of the hardest things to grasp from inside a company. The year leading up to Box’s filing was all momentum. We’d raised a boatload of money, back when that was only interpreted as a positive sign. Our CEO was on the cover of Inc as “Entrepreneur of the Year.” Dropbox seemed to be struggling with its business offering. Things were good! Now Snap has already had higher highs and lower lows than pre-IPO Box (for some strange reason, wildly popular apps for teens get more attention than content sharing platforms for businesses). But its IPO comes at an interesting time: on the heels of its Spectacles-induced media frenzy. Surprise hardware launch? Check. Vending machines filled with aforementioned hardware dropped in exotic locations? Check check. Heightened buzz around Snap’s threat to Facebook? Check check check. It was a brilliant, attention-grabbing, momentum-building strategy. And before the buzz subsided, boom! S-1. But all that momentum can turn against you when your numbers aren’t quite what some people expected, and your biggest competitor, Facebook, seems to have mastered the art of copying your product mojo. And instead of riding the arc upwards, you hit a curve. To be fair, it’s really hard to anticipate this stuff, and impossible to reliably time it. But for the sake of your mental health, just be prepared, okay? I’ll spare you the stories of what an emotional wreck I was when our narrative flipped. The only “safe” IPO is probably one at a more under-the-radar company with pleasantly surprising numbers (think Atlassian or Twilio). But then you wouldn’t have much fodder for a Medium post. Lesson #3: Keep telling your story over and over because no one actually knows it. I’ll keep this one short, because it’s really simple. You’ll feel like you’ve told your story a million times. You even start to feel bad — people must be sick of hearing it! They probably dream about your enterprise functionality and platform approach and how you’re soooo much more than cloud storage. Wait, why is everyone suddenly calling Box a cloud storage provider? Whether you’re like Box and you’ve been aggressively talking about what you’re building for years, or you’re the newly minted “Snap, a camera company,” there’s nothing quite like an IPO to stress test the simplicity and resonance of your messaging with your most diverse and critical audience to date. Lesson #4: Focus on internal communications above all else. During a period of unprecedented external scrutiny, the most important thing you can do is turn your attention inward. In the months ahead of our filing, I met with a handful of comms leaders who had been through recent IPOs. The one piece of advice they all had in common: internal communications is the most critical part of your IPO communications strategy. An IPO is a remarkable achievement. It’s the ultimate exit for any startup. You will do your best to downplay it internally, which often centers around a slogan that reminds employees to avoid distraction. At Facebook, that took the form of “Stay Focused and Keep Shipping.” At Box, it was “The Best is Yet to Come” (which began to seem cruelly accurate as our IPO dragged on and on). But no matter how many all-hands you hold or posters you make, an IPO is an exciting, mysterious and highly emotional process for all who have a stake in the outcome. For the vast majority of your employees, it’ll be their first IPO, and you should actively guide them through it. If all goes swimmingly, you need to remind them that the hard work of company building doesn’t stop with a trip to the NYSE. And if things go sideways, you need to be there to help fill the external validation vacuum with internal resolve. News cycles, even the biggest ones, come and go, but the trust that a company builds with its employees is sacred and needs to endure. Lesson #5: Remember that a tough IPO is amazing practice for being a public company. During an IPO process, you’ll have the least amount of control over your story. Your numbers will speak for themselves, and your ability to chime in with additional context will be severely hampered by quiet period restrictions. Early indications of investor sentiment will drive a big part of the narrative, and there’s little you can do about it. Get used to it! Being a public company means learning to coexist with a parallel narrative — a daily scorecard, if you will — that you can’t control. And here’s my self-serving theory: the harder the IPO (the filing, the launch, the aftermath), the more emotionally prepared you are for being a public company. Box’s hard-won NYSE debut was actually quite positive, but by then we were battle-scarred and smart enough not to get caught up in it. Which was good, because the public market is never all smooth sailing. The grit and resilience we built during those ten months have been put to good use in Box’s new life as a public company. Now that I’m no longer a Box employee and can look at the company as an outsider, I’m in awe of how much it’s transformed in the year I’ve been gone. There’s a level of maturity and determination that comes from having pushed through the headwinds of doubt to gradually and consistently rebuild your story and rebuild trust. Facebook is perhaps the best recent example of a company that floundered in its debut, powered through a few doubt-filled years, and came out much stronger on the other side. If Facebook had pulled off a flawless IPO, would the people there have worked as hard to prove themselves? I think not. Of course, we don’t know which way Snap’s IPO will go, and to some extent, it doesn’t really matter. What matters is how well Snap converts external skepticism into internal resolve, how well it communicates a story that evolves alongside the company, and how well it delivers on the promises it makes.